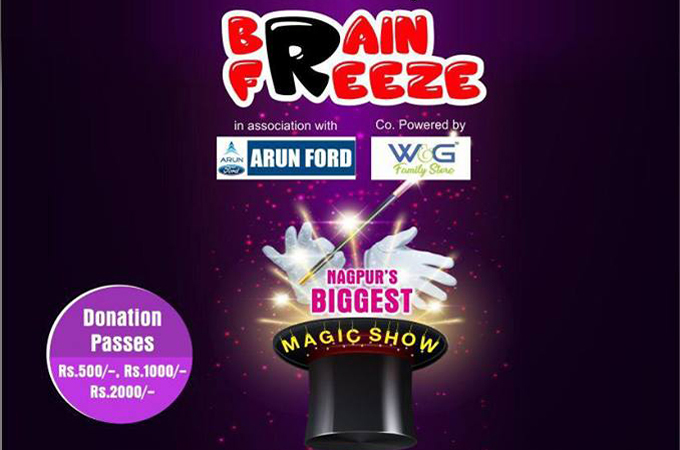 Nagpur : Round Table India through its chapter Nagpur Spirit Round Table 258 (NSRT 258), to raise funds for the education of underprivileged children, will be organising – Brain Freeze – a magic show on February 9, 2019 at Dr Vasantrao Deshpande Hall in Nagpur. 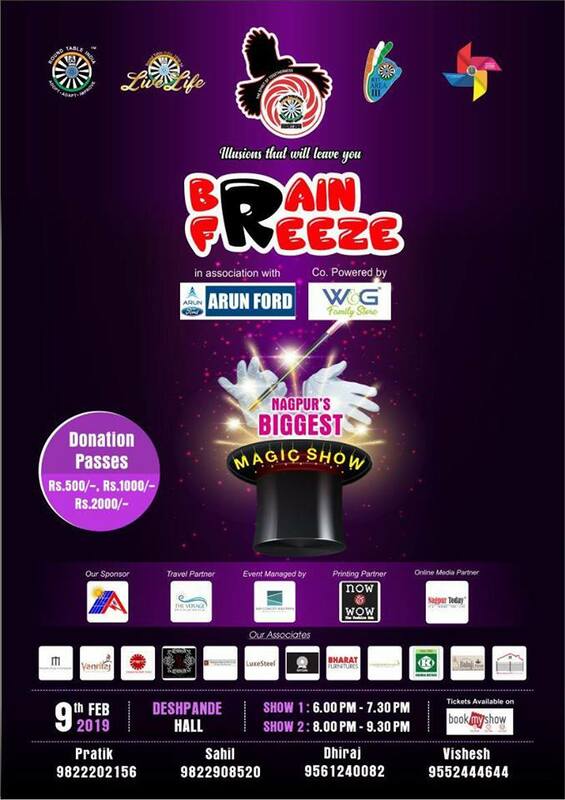 The magic show will showcase the jaw-dropping talents of five of the most incredible magicians in India. These magicians include: Abhishek Majithia, Manas Tayal, Waseem Mohammed, Sai Gopal and Ian Fernandes. 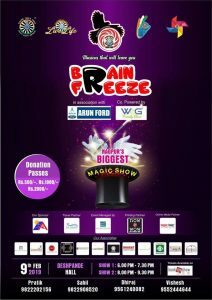 Collectively, these magicians have been seen by millions of people around the world and Brain Freeze will showcase their incredible talents together on stage for the very fast time. The show, which will be a powerful mix of the most outrageous and astonishing acts, is bound to dazzle the audience of all age groups. The non-stop show will be packed with thrilling and sophisticated magic of unprecedented proportions.